Evers Law Group was founded by attorney Geoffrey O. Evers, who has been practicing law for nearly 30 years. After starting his career in the 1980s as a prosecutor in the Orange County District Attorney's Office, Mr. Evers relocated to Sacramento. There, he joined the litigation department of a San Francisco-based international law firm, where he litigated in practice areas, including environmental law, labor law, breach-of-contract claims, catastrophic personal injury events and complex business litigation. Evers Law Group was formed in 1996. Mr. Evers' goal, then and now, is to provide experienced, high-quality legal representation at affordable prices. A litigator at heart, Mr. Evers is committed to asserting his clients' interests both in court and out-of-court settlement negotiations. 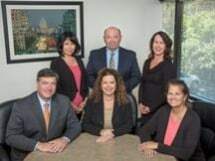 Evers Law Group represents its clients in business litigation, professional malpractice, administrative and licensure hearings, and uninsured defense cases. Mr. Evers also frequently acts as a judge pro tem in the El Dorado County Superior Court. He actively participates on the St. Mel Catholic School advisory committee, where he served for three years as acting president; he is currently a board member.